The ace of MONSTA X Ki Hyun got another title, The ace of idol archery. Ki Hyun the member of boy group MONSTA X showed off his brilliant presence in Idol stars athletics championship. In the MBC entertainment show "2019 New Year's Special Idol Star Athletics, Bowling, Archery, Rhythmic Gymnastics Competition," which broadcasts on 5 and 6, Ki Hyun caught the attention of viewers with his unique ace presence. Ki Hyun challenged the archery event on the day, overwhelmed the audience by showing off his splendid performance, even though it was his first appearance in his career. Especially Ki Hyun scored high points in a row throughout the match and surprised everyone by showing "Perfect Gold," which penetrates the lens in the center of the target. "It's not the ace of MONSTA X, he is the ace of idol archery," said the commentators. Ki Hyun has emerged as a new ace of idol archery by boasting his unique archery skills, said with a photo on the official SNS channel of MONSTA X. " Archery Star X" was posted. 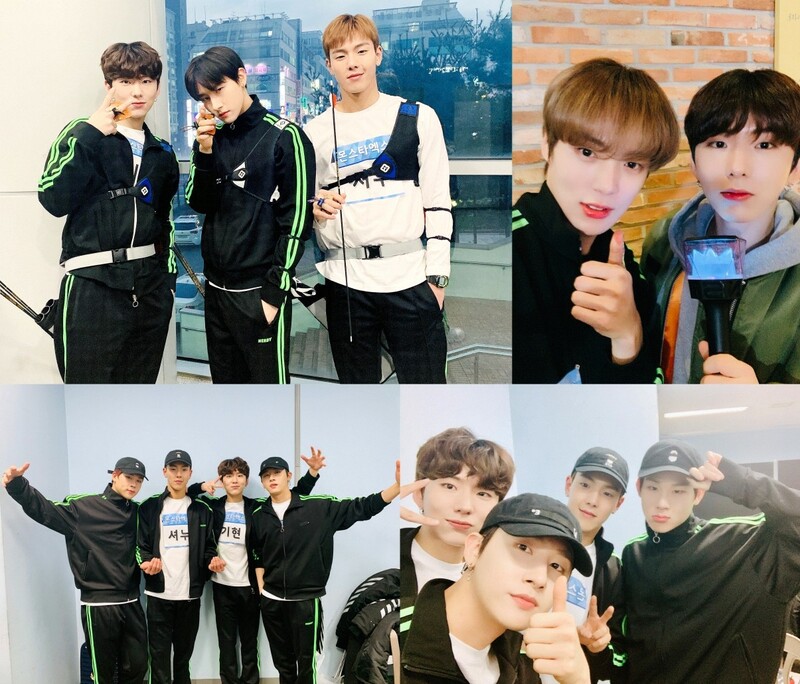 Ki Hyun's archery performance in "2019 New Year's Special," Monsta X also participated in bowling and penalty kick, showed a variety of charms of the group. The member of MONSTA X Ki Hyun showed off his unforgettable presence during the " Idol stars athletics championship." And also participated in the drama "What’s wrong with secretary Kim", "Partners for Justice", "She was pretty" and "Suspicoous Partner" OST. With his outstanding singing ability and fascinating voice. With his new album "THE 2ND ALBUM: TAKE.2 'WE ARE HERE', MONSTA X, which belongs to Ki Hyun, is speeding up the final album process. Through last year's release of "THE 2ND ALBUM: TAKE.1 'ARE YOU THERE?'" and rock titled "Shoot Out, they got the first and fourth prize of the first public music broadcas, and the popular music platform was selected as a group in Korea and abroad, including the U.S music media billboard. Meanwhile, MONSTA X will release its new song "THE 2ND ALBUM: TAKE.2 'WE ARE HERE' on the 18th.